“He can hear what he wants to hear,” she said after calling her husband to the dinner table that I had been invited to that day. She took advantage of her pastor’s presence to vent a bit, more than suggesting that her husband ignored a good deal of what she said. This is a sketch of the scene in our first reading. The Israelites, especially King Saul, only heard what the wanted to hear, turning a deaf ear to Goliath’s taunts. 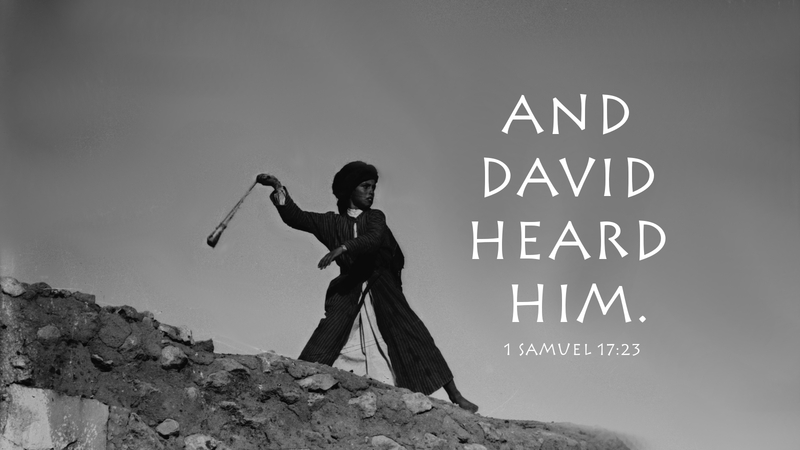 But David heard him and considered how God might be glorified by how he responded. “Peter opened his mouth” and proclaimed the gospel. He might have turned a deaf ear to the Spirit, imagining that those Gentiles would never understand. John the Baptist could have lived a normal life, but he responded to the call of God, and went to prepare the way of the Lord. What do we hear when life challenges us? Do we turn a deaf ear, hoping that it all goes away, or will we listen for the Spirit’s voice with the ears of faith? What mighty things God will do if we respond with faith. Prayer: Lord, give me ears to hear your word. Amen.